I began to understand how creation happens a long time ago. 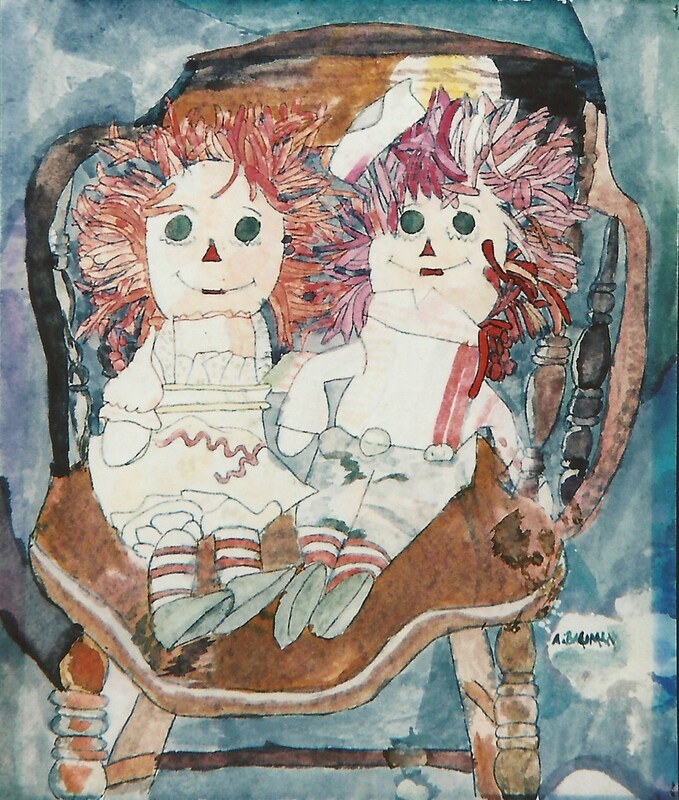 While I attended classes at the BarnesFoundation in the 1970’s, I taught the children enrolled in my painting classes what I learned each week. Everything Violette de Mazia and Angelo Pinto taught me, I taught them. (Those of you diligently reading these posts will recall I spoke about this picture before in “What to Look for in Art, Cont’d.” Click here to reread it. You are right if you conclude this story gets better every time I tell it). I valiantly tried to show that the picture orchestrated color on a flat surface; no woman was sitting there. I showed them the color patterns: the overlapping bands of hair, the repeated lines in the blouse and skirt, the drama of the spatial rhythms. They refused to budge. They renamed it “Spaghetti Hair,” and they left that day mumbling about how artists could make such disgusting pictures and still get famous. This, in essence, is how an artist creates. She made her picture, whether she acknowledged this or not, by the possibilities Picasso’s picture presented her. No one else in her class overlapped the banded strands of hair into spatial patterns; no one else brought the back legs of the chair into the frontal plane; no one else constructed spatial rhythms. No one else in that class, in other words, tried to adapt Picasso’s discoveries to their own expressive needs. That takes a spark of originality and courage, an ability to make connections. 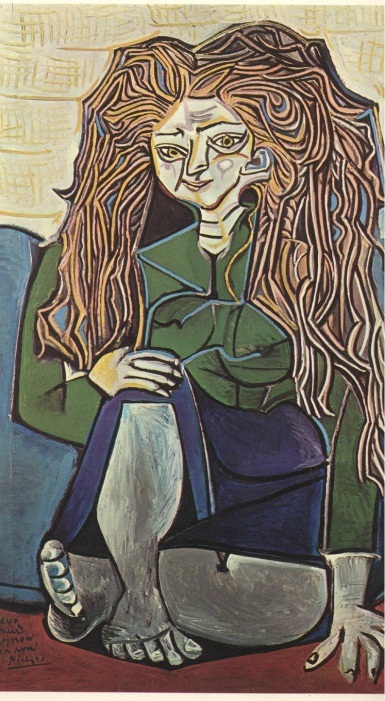 Whether she “liked” Picasso’s picture or not, he provided new visual ideas she needed. She manipulated her means (color, light, line, space) and re-worked her subject (the dolls on the chair) based on Picasso’s visual ideas (which he derived from African sculpture and cubism—aka the traditions), and she made HER picture. My daughter-in-law did something similar with a clothesbasket. On a snowy day, she wanted to take my then 5-month-old grandson for a sleigh ride, but she did not have a sled with a seat, and he could not yet sit up himself. She did have a plastic clothesbasket. She lined it with large plastic garbage bags, stuffed it with blankets, attached a rope to one end of it, dressed him in his snowsuit, and off they went. 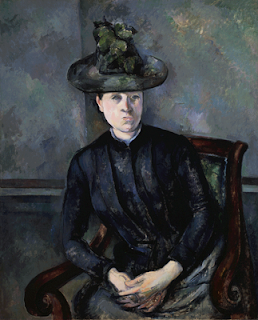 Think of it this way: Cezanne asks his wife to pose for him. He looks at his wife, but he wants a solid, weighty, set, powerful, volume to zigzag in and out in space. That’s what interests him. So he adapts Michelangelo’s bigness and power, the arid, restrained, color of the Florentines in general, and the solid, massive, stable and rugged qualities of early Egyptian sculpture. The resulting picture expresses solidity, monumentality, rigidity, and power equivalent to the Leaning Tower of Pisa. I bet you are now asking this question: you mean an artist consciously thinks about this? Some do, many do not. However, all artists, in every medium of expression, build on the work of previous artists. This is no different from scientists studying literature housing the discoveries in their field, and then experimenting to add their findings to it. It is what we mean when we say “pushing the envelope.” For visual artists, it means using relevant ideas from the traditions of art to help them say what they have to say. USE is the operative word, not steal or copy. In these next posts, I will ask you to determine the sources in the traditions as an additional element in your analyses of each work of art. I ask you to do this for two reasons: (1) when we understand how and why an artist adapts relevant visual ideas from other artists, we determine originality; and (2) when we can articulate an artist’s adaptations, we make specific for ourselves exactly what we are seeing and others can verify the accuracy of our perceptions. To get started, here is your assignment. 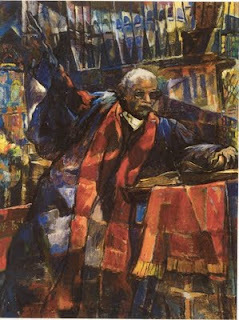 Examine this painting, My Father, the Bishop, by Edward L. Loper, Sr. If you wish to share your list, send it to me here by e-mail or insert it as a comment at the end of this post. Next week, I will summarize your responses. Then I will explore the visual ideas Ed Loper used, what he achieved by using them, and what he gave back that makes his picture creative.